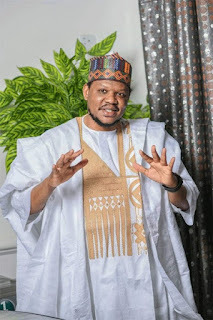 The All Progressives Congress (APC) presidential aspirant, Adamu Garba II, who lost to President Muhammadu Buhari, Thursday threw his weight behind the APC candidate and urged his supporters to do same. In a statement he disclosed to newsmen, Adamu reeled out his reasons for supporting Buhari’s re-election bid. According to him Atiku Abubakar of the people’s Democratic Party, PDP, would have been his preferred candidate but because his party has nothing to show for the sixteen years they spent he now backs buhari. Continuing, Adamu commended the incumbent President for been bold and daring to confront issues silently weighing Nigerian economy down, he also beckons on the citizens to be patient and give Muhammad Buhari’s regime another chance. “For the first time since the early 90s, we have a government that dares to press a reset button on those institutions of drains, following through carefully, though strategically and silently, identifying these drains and sealing them one after another. This is the government of Muhammad Buhari”, he said. Expressing his dissatisfaction in PDP rule, Adamu opined, “We thought that we are better off from 1999-2015, but it was clear to me, after investigation, that we were living in a bubble as a nation. “Unfortunately, when President Muhammad Buhari was sworn in as the new leader of Nigeria, his attempt to press a reset button busted the bubble and behold, we got into recession in 2016, which created an unbearable hardship to fellow citizens. The consequence we still feel today. “Blocking of those drain pipes by creating a new path of transparency, probity, and accountability, to me is more important for the Nigerian Youth, than continuing the previous method of racketeering, secrete money diversions & rampant corruption that threatens to destroy our country. “What I found out, was this is the reason why we fell into recession, have a lot of job losses and economic turmoil, but interestingly, the graph is turning to the positive slope and with infrastructure investment etc, the government is on the right track. “We have already invested a priceless 3.5 years bearing the burden. It is only wise enough to bear a while and give the current administration our trust & confidence so that our country, Nigeria can be refreshed for us. “I’ll continue to love, respect & value Atiku for his astute desire to #GetNigeriaWorkingAgain. However, on the notes highlighted above, based on my findings after an investigation, I choose continuity, I go for APC Nigeria, I prefer the Next Level. I urge us all to consider that. “To our supporters, our team members let’s be patient and continue to support the President Muhammad Buhari Prof Osinbajo administration.